Nintendo Labo is the newest project introduced by Nintendo and what a peculiar endeavor it is. 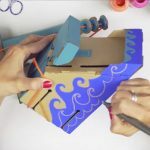 While the video about Nintendo Labo may have acquainted you with the concept, the intricacies of it are still a bit unknown. 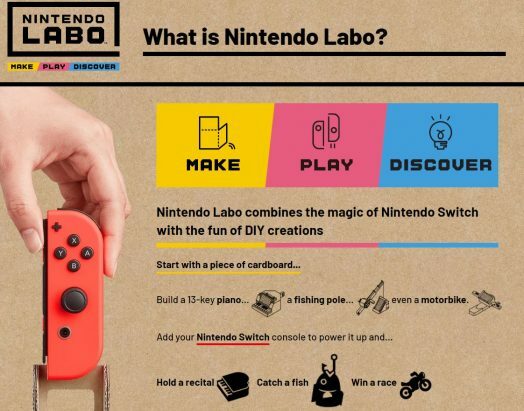 Luckily, Nintendo has updated their website with information detailing how Nintendo Labo works and what you can expect from it, with an example shown below. “With Nintendo Labo, building is just as much fun as playing. Have fun discovering how it all works—you might even invent new ways to play with each Toy-Con creation. Make – Build Toy-Con creations with step-by-step instructions. Make – Add your Nintendo Switch console and have fun with the included software. Make – Explore how the mechanics work as you build and play with your Toy-Con creation. Nintendo Labo launches April 20, 2018. Do you think you will be purchasing either of the two kits?